On takeoff, there is often a concern that the plane will not get off the ground. To help answer this from an intellectual point of view, consider that when Pratt and Whitney or GE make a jet engine, some of these engines are sold to the military where they are used routinely at 100% of the power at which the engines were designed to operate. Add to that that these engines are used at 103% to 104% of the power they were designed to deliver in wartime. It should be very reassuring to you that the same engines, when used by the airlines, are operated at 93% of the power they are designed to deliver for takeoff, and around 88% during cruise. If the pilots, during takeoff, wanted more power, they could get it by simply pushing the throttles forward toward the power settings routinely used by the military. In order to make the engines last longer — as much as twenty or thirty years — we routinely use even less than 93% power for takeoff. If we do, indeed the time spent on the runway is longer, and that very well may make you believe something is wrong. This is another reason for meeting the captain. Ask how much power will be used for takeoff on this flight. In any case, there is just not going to be a situation where you need to worry about there being enough power to get the plane off the runway. The next worry is that the plane, as it climbs steeply, might slide backwards. I know this can happen with a car equipped with a manual transmission if stopped at a light on a hill. But the airplane is not stopped. It is moving forward at over 150 MPH. There is no way — other than in imagination (yours, perhaps, because I can’t even imagine it) that the plane going forward at 150 MPH could just stop going forward and then start going backwards. First, there is too much forward momentum. Then, couple that with engines which have enough power to move an ocean liner forward. It just isn’t going to happen. This one I can, at least, understand. 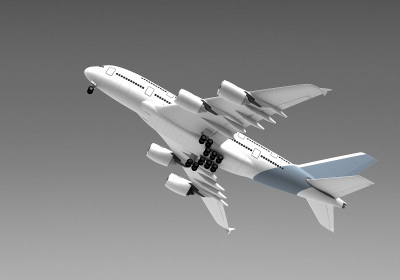 But I think the idea that the wings might touch the ground may develop because, since the passenger does not have his or her hands on the control wheel, there is no recognition that it takes considerable force applied to the controls to make the wings tip at all, and more to make them tip more. The amount of force that it would take on the controls to make the wing touch the ground would be far more than the pilots ever use when flying the plane. Again, it just isn’t going to happen, not only for that reason, but because the wing tip is pretty high off the ground when the plane is on the runway, and when it leaves the runway, the wing would not touch the runway no matter how much the plane tipped. There is generally a feeling that the plane is a bit unsteady just as the plane leaves the runway. The wings often do tip just a bit at that point. Why? Because every plane is just a bit different. One wing may have a bit more fuel than the other. As the plane leaves the ground, the pilots have to get the feel of the plane to see if one wing wants to rise just slightly more than the other wing, and apply a tiny adjustment. It is the rising of one wing, more than the other, followed by the pilot’s adjustment that causes this unsteadiness. So, in this case, there is something going on, but it is of a minor nature. It is never a concern and never a challenge for the pilots in any way. So though you may sense it, it isn’t a problem. About half a minute after leaving the ground, to make less noise as the plane leaves the airport environment, the power is reduced. When it is reduced, the climb — also — has to be reduced. When you are going up in an elevator, the elevator’s climb has to be reduced — in fact to nothing — in order for it to stop and let you get off at your desired floor. When it reduces the rate of its upward movement, elevator passengers feel a bit lightheaded. The same thing happens when the plane reduces the rate of its upward movement (though not to zero), and passengers in the cabin feel a bit lightheaded. The difference is, when in an elevator, you know what is going on. In an airplane, flight is a bit mysterious to begin with, and passengers who are anxious are primed to expect disaster. So, when that momentary lightheadedness takes place, along with less noise from the engines, the imagination takes over. An anxious passenger can easily imagine the engines have — not just been cut back but — failed, and the rate of upward movement is not slowed, nor stopped, but has reversed and the plane is plunging. Simply knowing this noise abatement procedure is just as routine as what an elevator does can help. One can expect the engines to be cut back. One can expect the lightheadedness. Once that is established as routine and normal, the reduction in noise from the engines and feeling of lightheadedness can be accepted.